What is RPA in investment and asset management? Robotic Process Automation in investment or asset management operations is defined as the implementation of software robots, using UiPath, Blue Prism, or Automation Anywhere, to reduce and eliminate the manual effort needed to process repeated and routine tasks performed on end user devices. RPA, when implemented in investment management, works at the interface (presentation later) of existing software applications to scrape and transcribe data associated with multiple, simple, and repetitive tasks—ones that make up much of the investment management back office employee’s day. 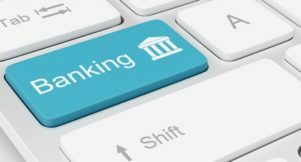 Many financial services companies considering RPA don’t know that the lack of a standardized process will prevent as much as 60% of potential RPA from being realized. Therefore, it’s important that you find a partner like The Lab, who can both standardize processes and pilot the solution for you. 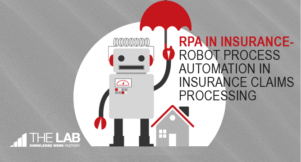 Financial services firms are working with The Lab to scope out use cases and implement robotics to make the process of introducing RPA into investment management operations easier. Increased productivity – RPA provides 24/7/365 transaction processing ability – robots can work afterhours with no overtime. Expect a reduction in transaction processing time of 50 percent. Decreased costs – Robotics in investment and asset management can reduce processing costs by up to 80 percent. Increased implementation speed – Robots can be implemented in as little as two weeks once the use case has been properly scoped out. No more waiting for years for implementation. Higher levels of staff satisfaction – RPA for asset management frees staff from redundant and boring processing work at lets them focus on core value generating tasks like assisting customers. The asset management industry is bursting with opportunities to improve productivity with RPA, but you may be understandably skeptical. Let’s take a look at a real life RPA use case that we implemented in investment management next. What is a RPA Use Case in Investment and Asset Management? An RPA use case in investment and asset management operations is defined as the methodology of documenting and mapping investment management operations process steps that occur at front-line level end-user-devices, that is then used to scope and automate data movement between applications without installing new core infrastructure. RPA can be applied to processes such as setting up a trust, moving funds and operating trade desk reporting. The following investment management RPA use-cases involve a general client services workflow, and customer service functions related to private wealth management. These steps can include meeting requests, client advising, asset allocation, and portfolio adjustments. 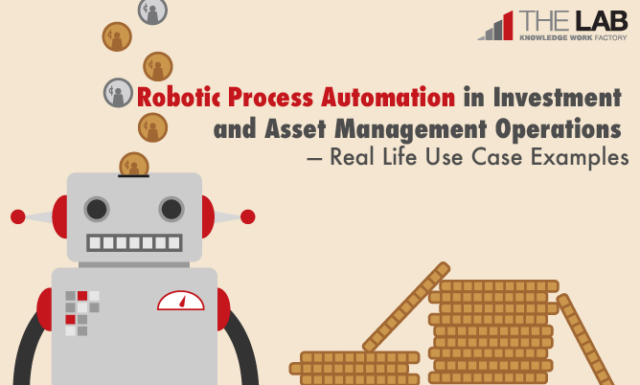 This asset management RPA use case example explains how to use robotic process automation to accelerate analysis and reporting generation to overcome the repetitive grind of moving data to generate reports. The results were an 80% reduction in manual work. Cathy works in the middle office of an asset management firm as an investment analyst. She updates the broker stock estimates report. Normally, she manually processes each estimate at her company, which takes her at least 15 minutes per estimate report. In the current-state (pre-RPA) process, she has to transcribe information among emails, Excel and a web-based cloud portal. Then she generates a PowerBI report for internal review. Each day the brokers estimate a change, Cathy receives emails with the new weekly estimates attached. She opens each email and saves the attachments to a network drive. She then opens the first attachment and copies each broker’s estimates for the day into a master totals Excel spreadsheet. She repeats this process for each attachment. When she has finished copying the brokers’ estimates for the week, she opens a browser. She navigates to a stock website, copies the website’s estimate for changes and adds this to the master totals spreadsheet. After each update, she saves the master totals spreadsheet. She opens PowerBI, then opens the PBI report created to read the weekly totals spreadsheet. Cathy refreshes the report, and the pie chart changes to reflect the new estimates. Cathy does all of this manually, for the hundreds of stocks the brokerage company monitors every day. About 80% of Cathy’s day is spent copying and pasting information from one source to another. Cathy still receives emails from the brokers each day with the new weekly estimates attached. UiPath opens Outlook, searches for these emails and saves the attachments to a network drive. UiPath reads each cell in the rows of the attachments within a second. UiPath enters the information from the attachments into the master total spreadsheet in 6 seconds. UiPath opens a browser, goes to a stock website, copies the weekly estimate from the site and pastes into the master total spreadsheet. Cathy clicks “Yes,” and the robot continues. UiPath opens the PowerBI weekly estimates report and clicks “Refresh” to refresh the pie chart based on the master totals spreadsheet. The PowerBI report pie chart changes to reflect the new information. Cathy clicks “No,” and UiPath finishes the sequence by saying “Finished” to let her know the sequence was successful. She can now send the PowerBI report to her manager and coworkers. The steps above (1-12) took only 3 clicks of a button compared to the 100+ clicks required before RPA. It used to take Cathy 15 minutes to update a single stock report, but now it takes her 1 minute—saving about 14 minutes per stock report. During an 8-hour work day, Cathy used to be able to update about 30 reports. With RPA, she can now update hundreds of reports every day. Sounds like something that you might want to try, right? Let us show you how or even do it for you. To get started in RPA, you’ll need to roll up your sleeves and get some detailed information about your current investment management operations workflows, though, so there is some significant work involved. Below, we’re going to share some tips for a painless RPA implementation. Implementing RPA in investment management is easier than, say, implementing machine learning or AI, because no coding, statistical data, or advanced mathematics is needed. And while RPA offers immediate, tangible results, implementing it requires a degree of planning. Let’s walk through the five basic steps. Investment-management workflows and processes are not equal, so your first task in implementing RPA involves selecting an optimum workstream candidate, by choosing a small, manageable process to generate buy in after quick success. As a pilot scope, we always suggest starting with a low risk, non-customer facing process in the back office like trade reconciliation or reporting. Start with a group of 5-50 employees. These processes tend to be more standard in nature. Any process that has a lot of data movement between core system and Excel that is then sent to different departments is your best starting point. 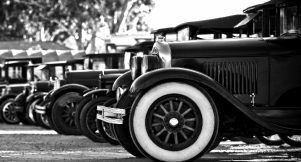 You might not have many standardized processes yet in your organization, so we will tackle that concern a bit later in this article. While you are determining the scope to optimize your investment-management workflow or process, you’ll need to calculate the current operational costs that you are incurring for that scope. The best way to display RPA’s value to shareholders is to show the benefits of RPA investment management from a financial standpoint. Making the case for RPA always involves doing this baseline cost calculation. How is it typically performed? Take the scope that you calculated in the prior step, walk over to HR, and figure out what each investment-management employee costs – all-in. Remember to load these salaries with full benefits and any other related costs such as overhead, bonuses, and the like. The next step on your journey to RPA enlightenment is doing “day-in-the-life” observations. This means you will need to observe front line workers doing their work routines. Remember to bring your laptop or notebook along with you when you do. Take very detailed notes of every single mouse-click and every single keystroke for every workflow and process. We here at The Lab can do these “day-in-the-life” observations for you – on site, or even using screen-sharing software like WebEx or GoToMeeting. Most of our engagements follow an on-site analysis model and on-site implementation. 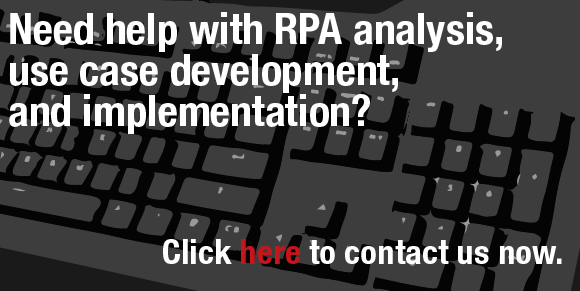 To make RPA work, you’ll need a lot of detailed data-field level process analysis. There is no short cutting this step, no matter what someone might tell you. This analysis includes all of the current workflow tasks, down to the mouse-click level. Process mapping analysis at this level is essential and we use of Microsoft Visio to document everything. Mapping the selected pilot process in investment management lets you represent the processes in scope visually. Use the BPMN 2.0 stencil (Business Process Model and Notation), the industry standard, to capture this detailed information. Plan on observing and recording several investment management staff members for a few days, one at a time. If you’re looking to implement RPA on a department-wide level, plan on observing a total of 5 to 50 workers. Too hit a home run with RPA, you must standardize processes before implementing. Once you have mapped out all of your selected investment-management processes for RPA, determine which ones can benefit from further standardization in advance of your RPA implementation phase to maximize your ROI. This is where our work best shines. 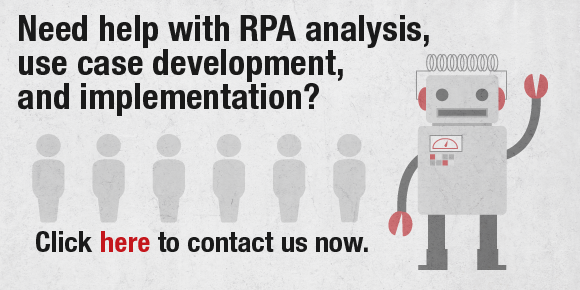 Let The Lab help you with RPA standardization projects now by clicking here. Standardization is the key to realizing RPA economies of scale. Robotics has firmly landed in the investment management space and can offer attractive opportunities, when done right. RPA can perform tasks that are simple and repetitive at a faster rate than humans can do on their own. ROI can be realized in as little as three to six months. Why sit back and let your competitors beat you to the punch with RPA? If you are interested speeding up your RPA implementation tasks, our team at The Lab provides an “à la carte” approach. We start small with a proof of concept pilot implementation. Once we’re more familiar with you, and how your business workflow works, then and only then do we ramp up our efforts to maximize results. Contact us and get a head start today.